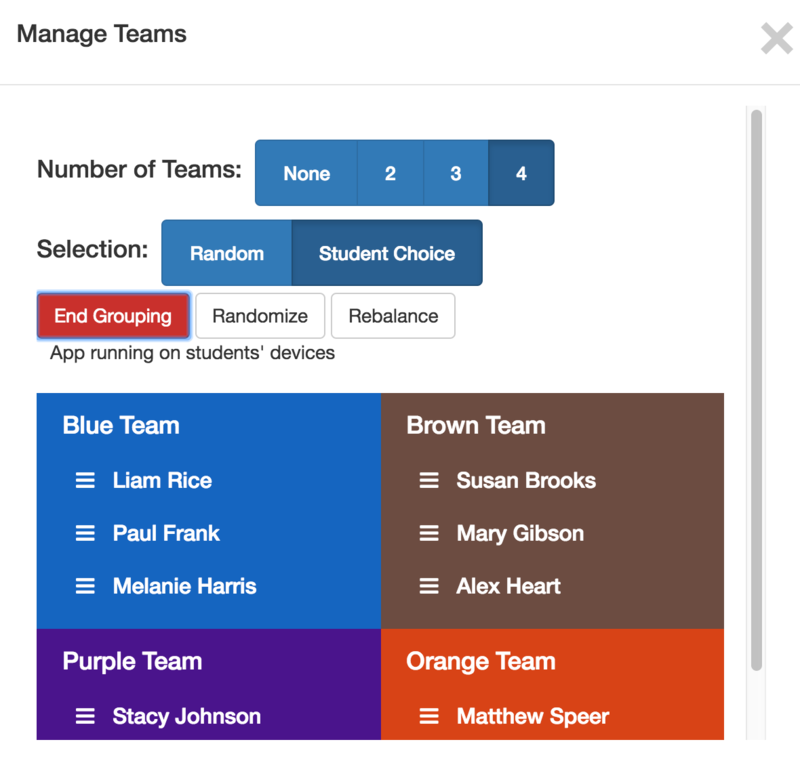 Team feature is where you can assign students up to four different colored teams with the Teams and Students feature. With the Team feature, you may turn your classroom into a positive competitive environment. For example, you may reward the first team who has all the team members who have reached the final Activity. You may track this by the student's avatar and team color. To create teams for your classroom, go to Teacher's view. Click on the 'People's icon' at the top right corner of your screen. 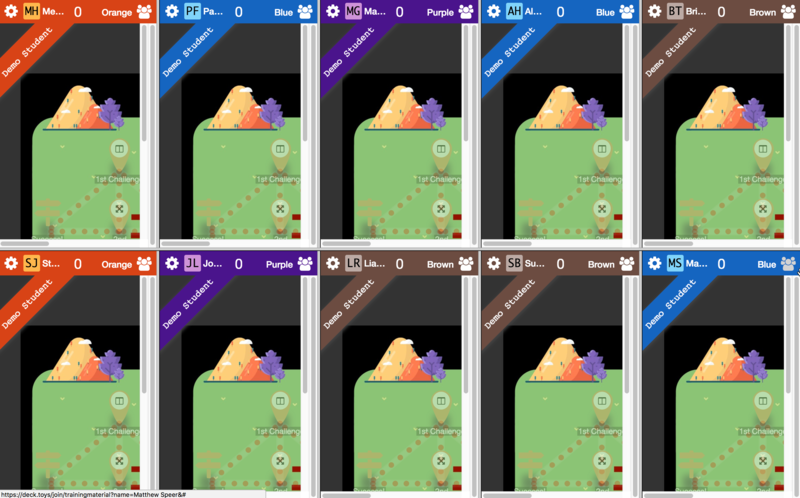 Under the Teams and Students column, you will be able to see all your students that are connected to your Deck.Toys Classroom. 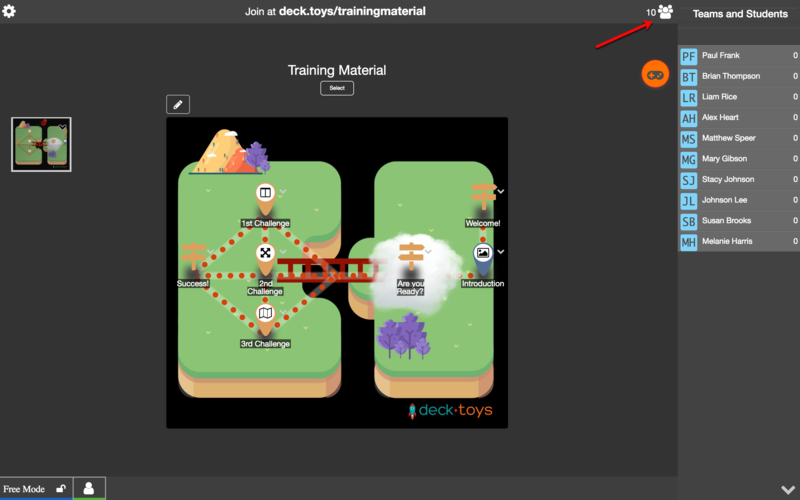 For example, in the below screen, there are ten students in deck.toys/trainingmaterial Classroom. 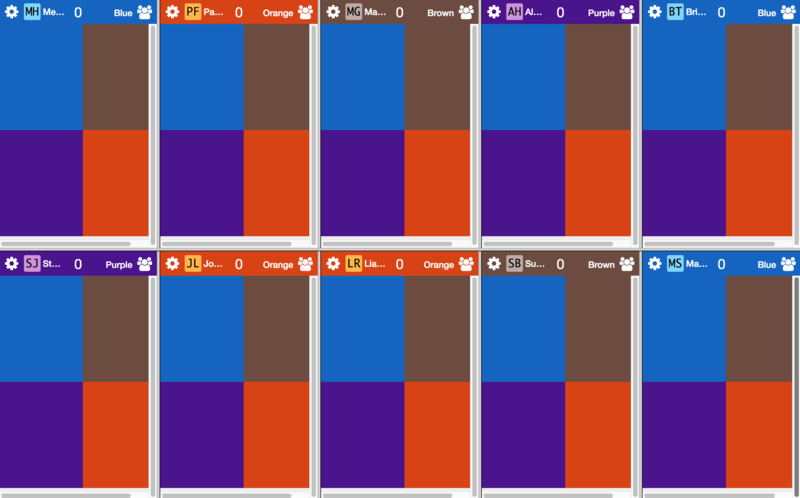 All of the students are unassigned to any team by the indication of their avatar's color, blue. 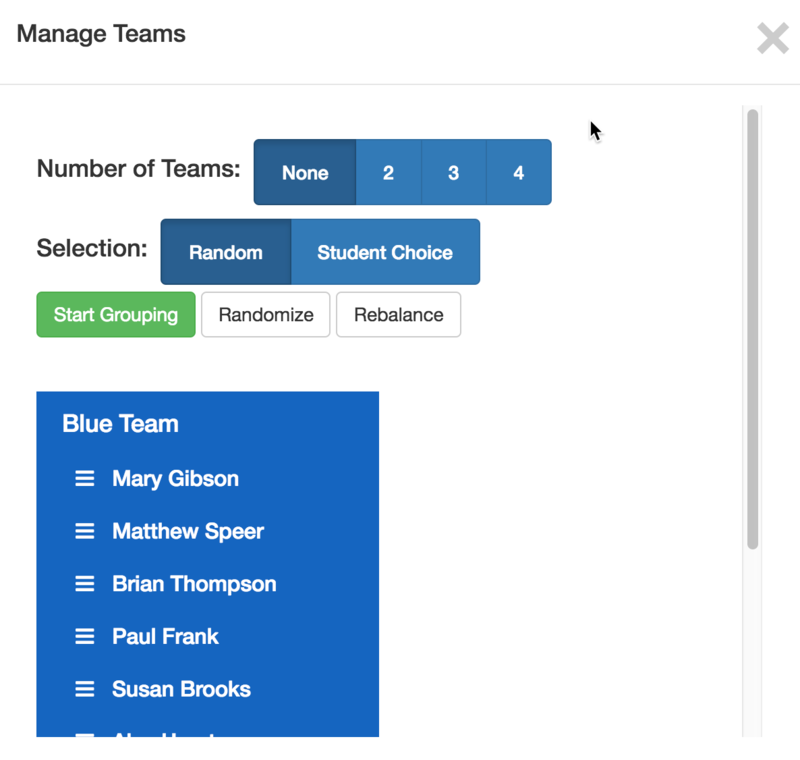 To start creating teams for your students, click on the Teams and Students tab. The below screen will appear. You are to decide the number of teams and the selection mode in forming the team before clicking on the 'Start Grouping'. If you choose 'Random', the students will be placed in the teams randomly which is shown in the below screen. As an example, four teams and random have been selected for this Classroom. In the Student's view, they will be notified to the team that they have been assigned by the color code that appears on their screen. If you choose 'Student Choice', the below screen will appear and with a prompt stating 'App running on student's devices'. In your screen, you will see your students are still randomly placed in the team. The difference in 'Student Choice' mode is that your students can have the final decision as to which team that they would like to be in it. In the Student's view, they will see all the team colors and are given the choice to select their preferred team by clicking on their desired color. 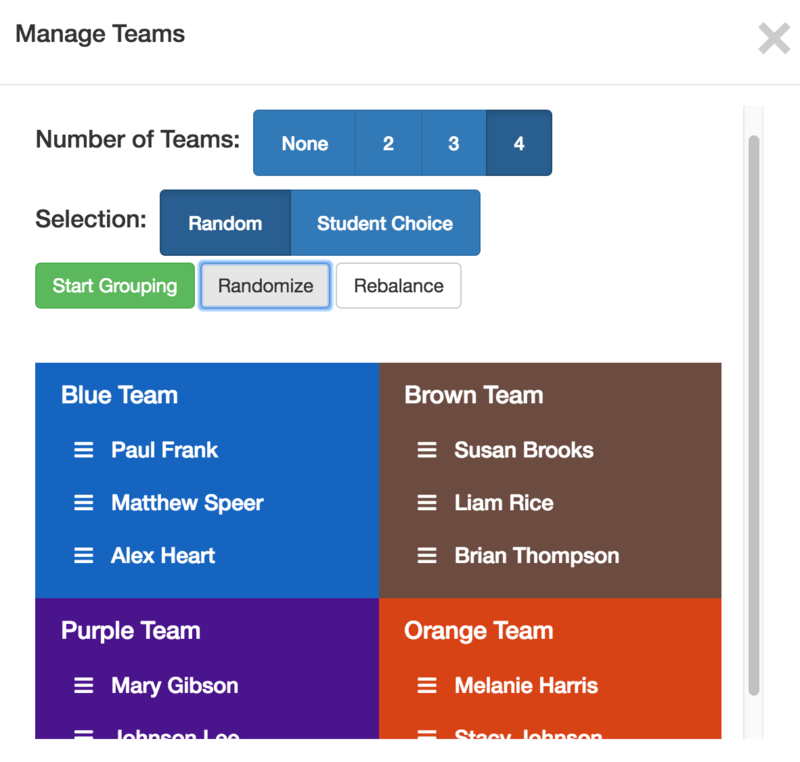 Once your students have selected their team, your 'Manage Teams' screen will be updated with the correct team members.